Home Tags Posts tagged with "pc"
Are you looking for a laptop that can make an ideal work or study buddy? You have come to the right place! We offer a wide range of brand new and refurbished 2 in 1 PCs at affordable prices, from big brands. Continue reading to find out the best and affordable 2 in 1 PCs. The 12.5” Linx 12X64 makes for the perfect portable device if you are looking to save money and want a 2 in 1 Laptop Tablet. 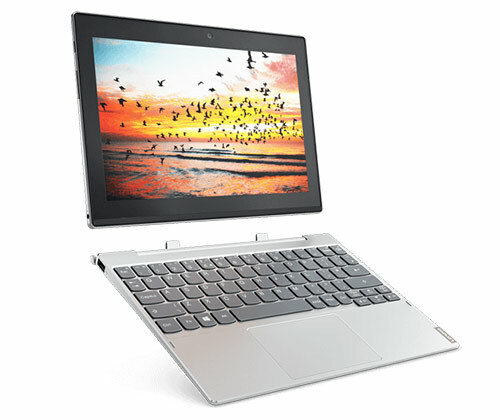 By attaching the detachable keyboard, this tablet can provide the user with the productivity of a laptop. Powered by Intel Atom x5-Z8350 Quad Core Processor with a memory of 4GB RAM and storage capacity of 64GB, this compact technology lets you manage large documents while allowing you to enjoy Windows 10 features. 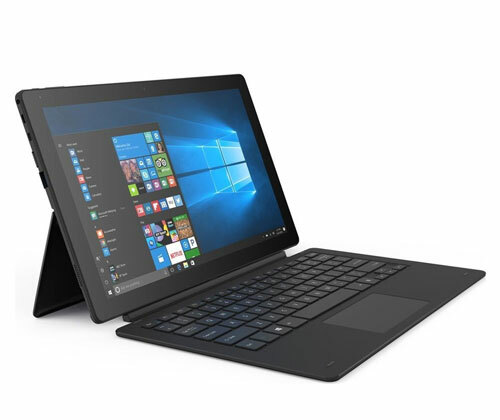 Windows 10 makes this 2 in 1 laptop tablet more secure (with Windows Defender, Firewall and Smart Screen), faster and enhances its performance. The high speed USB 3.0 port accommodates connectivity and makes the process of data sharing more convenient. The feature of Microsoft Edge allows your gadget to get more work done by giving you the mobile web experience. The full screen HD display also makes the experience of using social media and watching your multimedia worthwhile. 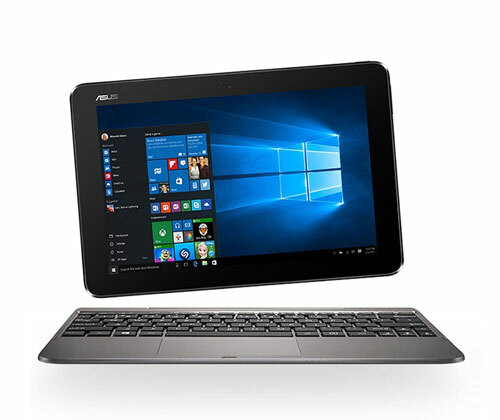 The refurbished ASUS Transformer Book T101HA with its 10.1” Multi-Touch Display is part of ASUS’ social range and makes for a perfect companion whether you are using social media, making notes or shopping online. Embrace the brand new reversible hinge, this device can provide the compactness of a tablet or the versatility of a laptop. The detachable keyboard can give the user the experience and productivity of a proper laptop at the price of a tablet. Powered by the quad core Intel Atom x5 processor, this tablet/ laptop enhances productivity and makes multi-tasking easier for the user. 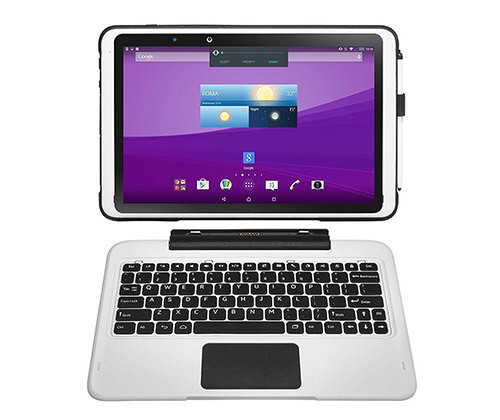 This compact and lightweight tablet/ laptop has a battery life of up to 11 hours which allows the user to work on the go without fear of the battery running out. With a memory of 2GB RAM and a storage capacity of 32GB this tough aluminum body tablet/ laptop allows you to store large volumes of data, giving the tablet a productivity and functioning of a full-fledged laptop. 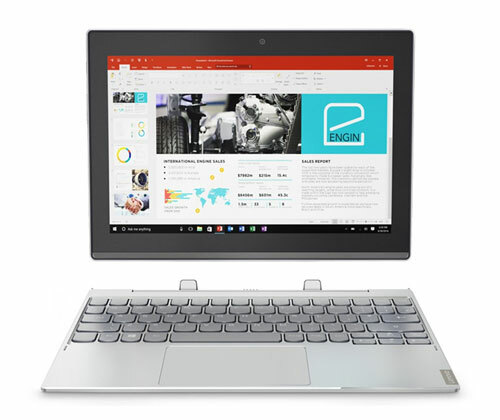 Lenovo has introduced a 2-in-1 Laptop/ Tablet to give users the chance to use to the gadget in a mode befitting their needs at the time of use. Weighing only about 1kg, the super light device has a battery life of up to 10 hours, making for a perfect travel companion whether on business trips or at school. Powered by the quad core Intel Atom x5 processor and a speed of 1.92 GHz ensures efficient productivity and functioning. With a memory of 4GB RAM and a storage capacity of 64GB you can now store data worry free. This 10.1” Miix 320 comes with a full HD display making the experience of watching multimedia memorable. With the 802.11 ac WIFI you can now browse on your tablet/ laptop at a faster speed than on a standard laptop. So what are you waiting for? 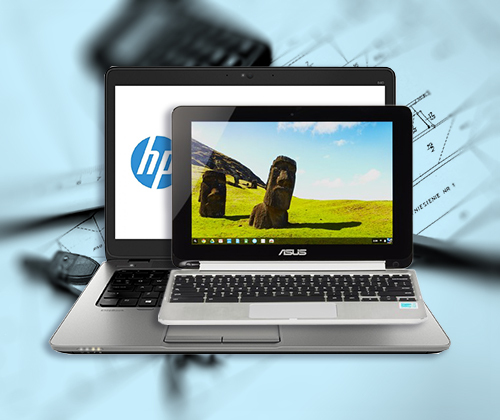 Grab your own latest 2 in 1 laptop tablet at exclusive prices only at Laptop Outlet UK. Hurry, while stocks lasts – you do not want to miss out on our amazing deals! Looking to purchase new tech gadgets for your studies and save money? Whether it is a laptop, 2-in-1 tablet/laptop or a desktop PC, we’ve got you covered with our great back to school, college and university deals – saving you time and money! It is time to begin the year with a bang, so get ready to buy the latest and modern high tech for your use. New academic year, new tech is the motto! 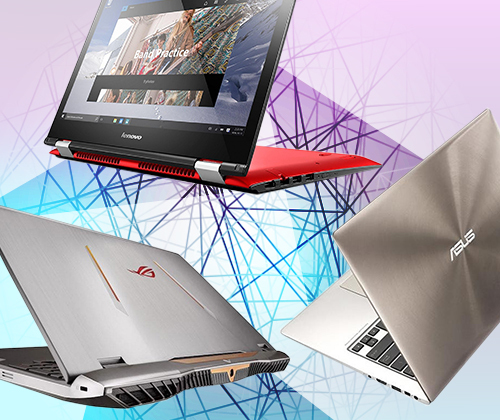 These back to school tech products are available to buy from various brands such as Linx, Lenovo, Tetratab and ASUS at amazing deals. Many coupled up with accessories to make student life easier and stress-free! Linx has a range of products with various features, ideal for students to use for their everyday schoolwork and entertainment. The Linx 12X64 is designed exclusively with a fast processing system powered by Intel and Windows 10 operating system. With a 12.5” Multi-touch full HD Display, bring your photos and videos to life. With the detachable keyboard. making presentations and doing schoolwork couldn’t be easier! Not only this, with the integrated kickstand, relax and sit back while using your tablet without holding it in your hands; offering you the flexibility of a laptop and the versatility of a tablet. Available to buy as bundles with BullGuard Internet Security to keep your data secure while browsing online and the flexibility of a wireless mouse for ease of use. Lenovo offer great quality products for students to get hold of before heading back to school, without being too heavy on your pockets. The range includes convertible laptops, all in one desktop PCs, including Yoga 510, V330, IdeaCentre 310S, and many more. Powered by the latest processing systems, with Windows 10 and having ample memory and storage options. Be prepped for the new year with a wide choice of Lenovo items for you to choose from. Enter the new academic year with the most advanced, TetraTabs. Experience a completely new version of 2 in 1 Tablet that can be used as a laptop or a tablet anytime. It is rated IP52 that guarantees a special protection against dust and water ingress, making it favorable over other tablets. It is less vulnerable to getting broken or damaged as it can survive falling on concrete up to 0.7m. This lightweight and portable device can also be carried with you easily anywhere, at school or at home. With an extremely powerful system and full fledge features of a tablet and laptop and a long battery time, pick this as your choice! We hope our choice of student essentials has helped narrow down your search for back to school, college or university. Looking for something else? Browse through the whole range here. It’s holiday season, so pick your favourite pieces from the exciting range of technology now available! Relax and experience the different gadgets, designed for the diverse age groups to adore! This range features Lenovo Miix 320 2 in 1 Laptop/Tablet, Linx KAZAM Tablet, Lenovo IdeaCentre Desktop Bundle and Lenovo Tab 3 10 Plus. Get your hands on the best tech you need to relish your holidays fully in the most effective manner! Technology is ever changing, yet we bring you the ideal picks for your holiday. The Lenovo Miix 320 is the perfect 2 in 1 multipurpose laptop that also turns into a full-fledged tablet. Designed in an ultrathin and lightweight design, carry it with ease wherever you go. Charged with Intel® Atom™ processors and Windows 10, experience speedy and faster use of the applications, making it easier to browse, work, and be entertained. Capture your memories and upload on social media with an 802.11 ac WiFi, Dolby Advanced Audio system and a rear-facing 5 MP camera. Experience the amazing visuals with a stunning 10.1” screen and authentic vocals to listen to your favourite music on your vacation! Indulge in the holiday mood with Linx KAZAM Tablet, being one of its kind featuring the Xbox experience for the gaming fans. Charged by the latest Intel Quad Core processor, it offers an undivided performance like never before. 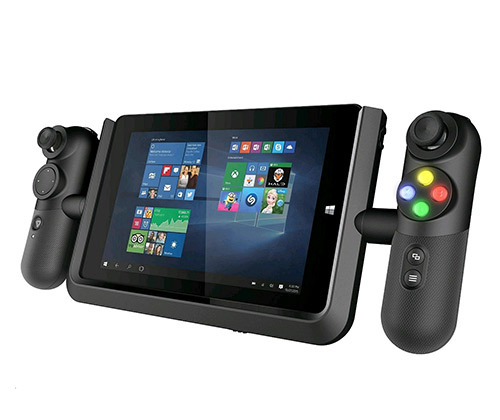 Designed with Official XBOX Controllers Dock, play your favourite games from Xbox to the KAZAM Vision, without the need to connect it to any television. High quality gaming is now made easier on your vacations. Crafted with rubber grip, durability and comfort is guaranteed. The tablet is powered with Windows 10, making it more than just a gaming console to enjoy a full tablet experience. This multipurpose tablet with an 8” LCD screen is all you need to relax during your vacations. With the added features, download all you need and play it anytime and anywhere. Change your idea with Lenovo IdeaCentre 310S Desktop PC Bundle offering all PC facilities in a much smaller and convenient size for the holiday season. Despite the smaller size, the processing power, memory and storage space is unmatched. Set it up easily anywhere without using enough space and get into the vacation mood listening to your favourite music and enjoying your all-time favourite movies and TV shows. With the Lenovo Family Cloud, keep your family intact even on holidays. Cheer up yourself on these holidays by purchasing this all-in-one IdeaCentre. 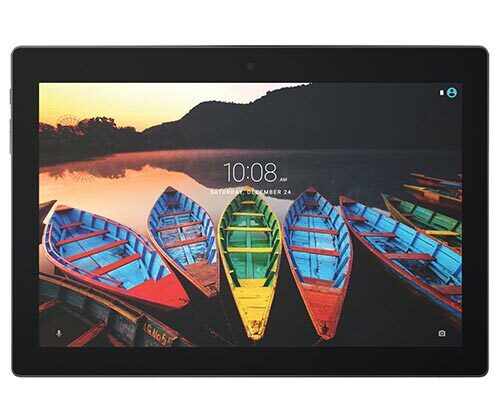 What could be more exciting than the Lenovo Tab 3 10 Plus Tablet, featuring a 10.1” HD Display screen on your holidays? Even if you are away from work, the Tab Business allows you to be connected to work as well. With a long lasting battery, built-in dual speakers, this Tab is the ultimate travel companion for binge-watching or playing games. With a long lasting memory, undivided visuals and sound, get entertained on your holidays with the ultimate Lenovo Tab, easy and portable to carry wherever you go. The ideal preferences for the holiday season are now here, so before heading out with your friends or family, just click away and order your favourite tech item from the incredible range of products to reload your vacations! 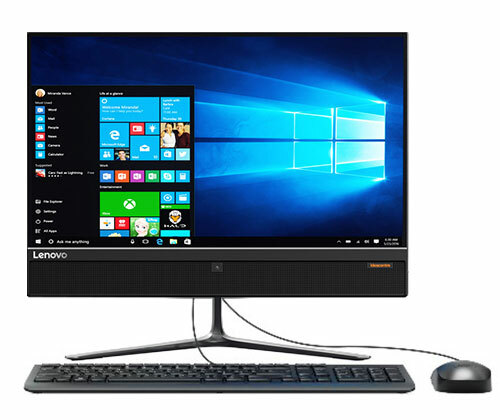 The Lenovo IdeaCentre 300 offers superior performance and powerful possibilities. You can work smarter with this sophisticated machine, as its Intel Core i3 processor with 8GB RAM will provide all the power required to take your computing to the next level. Featuring a massive 2TB of hard disk space, the all-in-one PC gives you plenty of space to store your documents and presentations. 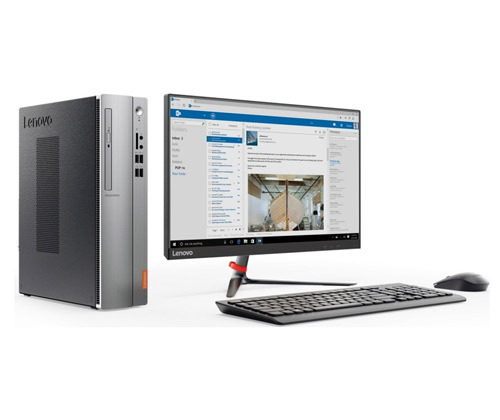 The Lenovo IdeaCentre 300 is not only great for work but also entertainment. Any movie or game will look better on the vibrant 23” Full HD display. The fact that the screen is adjustable from -5 to 25 degrees makes things better – you can easily find the most comfortable viewing angle for your favourite movie! 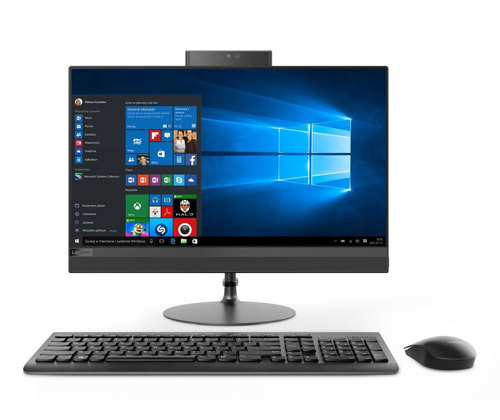 The Lenovo IdeaCentre 310 is a great-value all-in-one PC tailored to keep you connected to what matters. Its 19.5” display means you can effortlessly work, play games and watch videos. Together with the built-in HD webcam with microphone, the device is brilliant for making video calls with friends and family! The Lenovo IdeaCentre 310 is powered by an Intel Pentium J4205 processor and features a 1TB HDD. You’ll have sufficient space for up to 1000 movies, 30,000 songs or 40,000 photos! Looking for a compact solution to your daily computing needs? 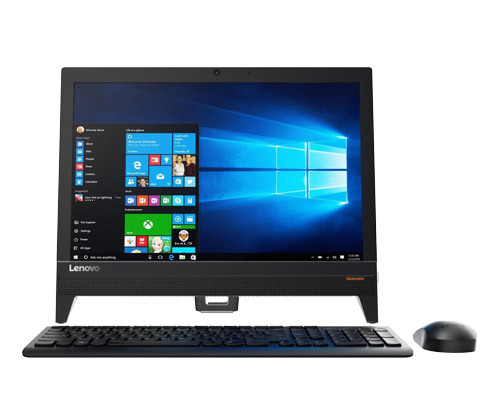 Go for the Lenovo IdeaCentre 310! On the hunt for an affordable AIO PCs that excels in both design and functionality? 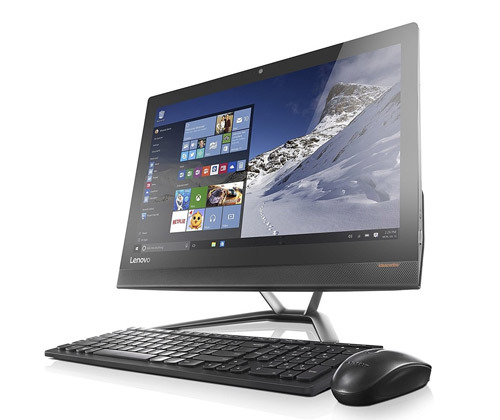 Check out the Lenovo IdeaCentre 510! Equipped with an AMD A6-9210 processor with AMD Radeon R4 graphics, the AIO PC delivers enhanced graphical performance that makes it a superb family entertainment PC. The 21.5” Full HD borderless display guarantees the crispest, clearest visuals. Adjustable from -5 degrees to 30 degrees, the screen provides you and your family an enjoyable viewing experience from the most comfortable angle. Featuring WiFi 802.11 a/c and Bluetooth 4.0, the Lenovo IdeaCentre 510 can stream audio and video to every device in your house. It’s a true multimedia hub for your entire family! 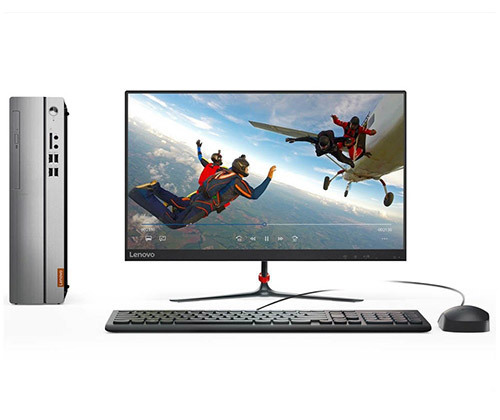 The powerful Lenovo IdeaCentre 520 has established a new standard for PC performance. It features an AMD A6-9220 processor, making everything you do faster, smoother and easier. With AMD Radeon R4 graphics, you’ll be able to enjoy lightning-fast graphics performance for video streaming and editing. The 23.8” Full HD screen means you can watch your videos in the finest detail. Since it is a 10-point multi-touch display, you can even scroll through footage, pause and zoom in on the best clips however you like! Small in size but big in processing power and storage, the Lenovo IdeaCentre 310s is the perfect PC for your compact home. Despite the fact that it’s only half the size of a regular home PC, thanks to its AMD A6-9230 processor, the AIO PC is more than capable of handling the demanding computing needs for you and your family. With 8GB RAM and AMD Radeon R4 graphics, multitasking and serious gaming is an absolute breeze! The mega 2TB HDD provides ample space for around 2,000 movies, 60,000 songs or 80,000 photos so you won’t have to worry about your expanding media collection. 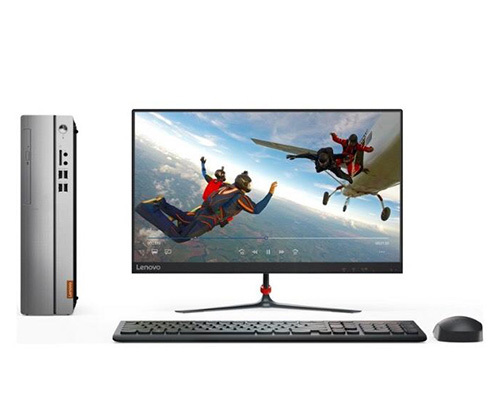 Ideal for work, play and everything in between, the Lenovo IdeaCentre 310s is definitely the PC to get for your whole family! The Lenovo IdeaCentre range combined with top specs is the perfect addition to your tasteful lifestyle. Not only can these slimline PCs keep your desk neat and tidy, but also make your home look more polished in an instant! Which of the above Lenovo IdeaCentre PC is your favourite? Check out our full range of Lenovo PCs here. Laptops give you the power of a desktop computer whilst also letting you work, surf and do a world of things on the go. There was a time when laptops were considered the lesser between the two but today so many laptops are available and some have better specs than traditional desktops, from big brands such as HP, ASUS, Lenovo and Medion. With so many laptops with a wide range of specs available, it can make things extremely confusing for those of us who don’t know the specifics. So, join us as we break things down and make it easier for when you’re ready to buy your next laptop with our laptop buying guide! Processors (also called CPU) are what determine just how fast your laptop will be, they control the speed at which you are able to run the programs that you use. There are two main manufacturers of processors, the first, and market leaders are Intel and the other is AMD. Intel Core i7 processors are considered the fastest and most powerful available right now and will let you handle all your tasks efficiently and with ease. 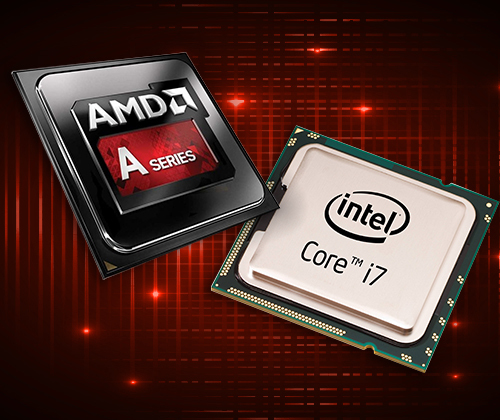 AMD processors are also powerful and just like Intel’s processors come in different ranges to suit your needs. So if you’re someone who uses their computer for photo/video editing or gaming then you would require a more powerful processor. 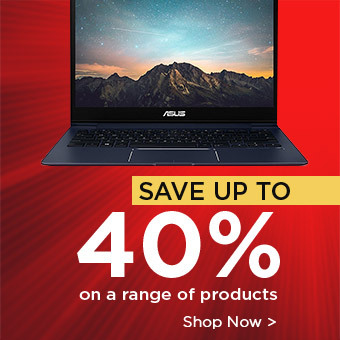 However, if you’re after a laptop for basic use for work and internet browsing you may want to save some money and look for a less powerful processor such as an M Series, Pentium, Celeron or Atom. 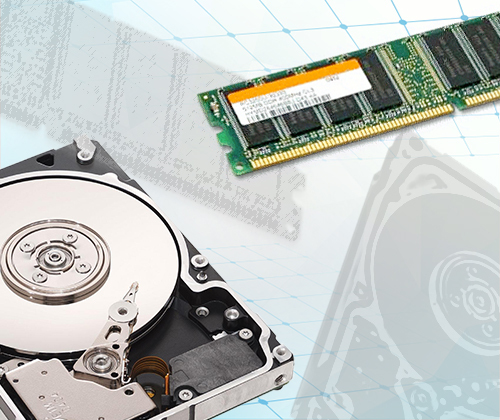 Most of us get lost in the world of laptop language where RAM and storage is concerned, so we couldn’t have a laptop buying guide without a breakdown of RAM and storage! RAM which stands for Random Access Memory, is the short term memory of your laptop, you cannot delete and try to free up space on the RAM, however more RAM will allow you to do much more on your laptop at once which is great news if you are a multi-tasker! Hard drive space or storage on your laptop is the amount of space you have for your own files, documents and everything else that you want to store on your computer. If you’re someone who loves to hoard all your pictures, videos and files and needs more space, you may want to look for memory in TB rather than GB, like a 2TB laptop and if not, then something in the region of to 250GB or 500GB will suffice. The display or screen size on a laptop can range from something as small as 10.1’’ right the way up to 15’’ to 18’’. Many laptops above 17’’ are usually gaming laptops, to make the gaming experience more immersive for players. In addition to the screen size, you also want to look out for the resolution on the display of a laptop, as a higher resolution means more pixels and better picture clarity. The highest resolution laptops like 3840 x 2160 and 4k displays would be better suited to gamers or even photographers or designers as higher resolutions mean better picture quality on your laptop. If you want the smallest available, a 10.1 ‘’ laptop like the ASUS Chromebook Flip C100PA may appeal to you more than a larger screened laptop designed for gaming. And if you’re after the most popular screen size of 14’’, then something like the HP EliteBook 840 G2, may suit your needs better. An operating system governs how you will be able to use and navigate around your laptop and so is an important aspect when it comes to buying or choosing a laptop. 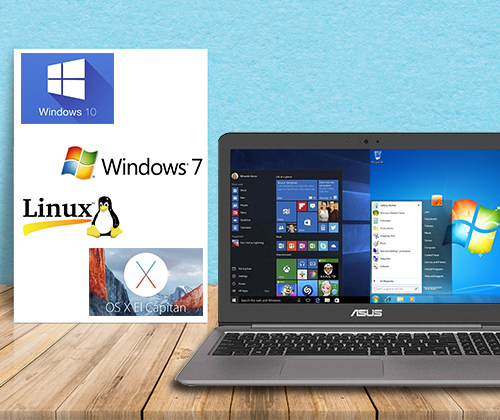 Windows make the world’s most popular operating systems and their range varies from older versions like Windows 7 to the more recent Windows 10. The operating system is important as it includes things like updates that help to keep your computer secure. It also includes features that will make using your laptop more enjoyable, depending on your needs and preferences. Other operating systems include Linux as well as Mac OS X. Many people sometimes learn to use one kind of operating system and tend to stick to it. You may want to choose an operating system you already know, as using an OS that you have the general gist of will ensure that using your new laptop is a smooth experience. When it comes to things like portability and convenience of use, design matters. Whether you’re someone who places a lot of importance on the design of a laptop or you don’t mind at all, the design will also affect the functionality of your laptop. For example, a convertible 2 in 1 laptop will allow for increased portability and versatility when it comes to using the laptop, and a gaming laptop will also more often than not come in a certain style that is more typical to laptops made for gaming purposes. With everything from touchscreen to gaming laptops to ultrabooks available, all with different screen sizes and colours, it’s worth looking around for what type of design you want on your laptop as you will most likely be using it every day! Browse through our range of affordable laptops and notebooks here. We hope you feel better informed and more confident about your next laptop purchase after reading our laptop buying guide. 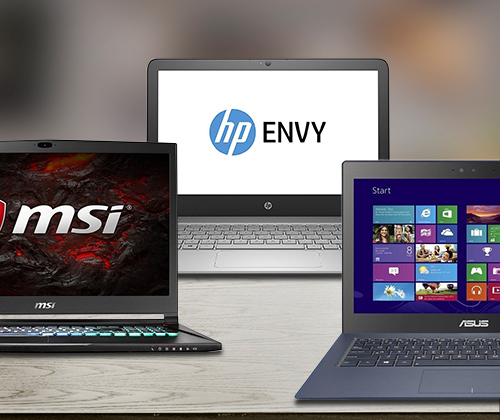 Drop a comment below and tell us which laptop you’re looking to buy next!